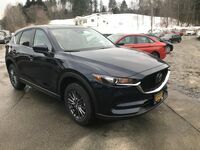 If you are looking for a versatile SUV that has power and luxury all rolled into one package, you need to check out the 2017 Mazda CX-5 in Barre VT. The exterior design of the Mazda CX-5 is sleek and sporty. 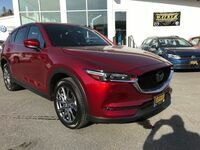 Built with Mazda’s Kodo design process, it is clear that thought was put into every detail of the design and each piece of the Mazda CX-5 was made with intention. Sophisticated and bold, the Mazda CX-5 will surely turn heads no matter where you go. The interior design of the Mazda CX-5 was crafted around the driver. A driver-centric cockpit puts all of the pertinent controls within easy reach of the driver and thoughtfully selected textures and finishes keep everyone comfortable. 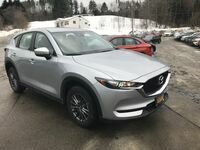 The Mazda CX-5 seats up to five passengers and has plenty of features to keep everyone connected and comfortable on even the longest of drives. 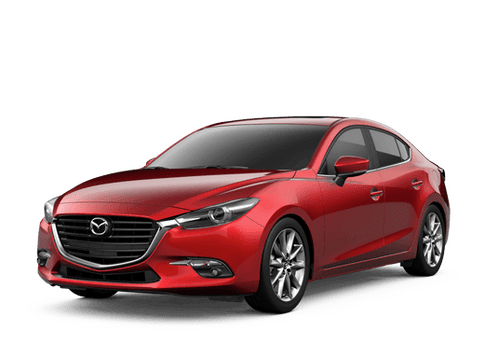 The Mazda CX-5 has available heated rear seats that also recline, ample entrance and exit room, rear air conditioning vents and USB ports in the front and rear armrests. Unique sound-deadening materials keep the cabin ultra-quiet and more peaceful. Mazda CX-5 has a new Power Liftgate that can be opened or closed with either the available Mazda Advanced Keyless Entry button or a button inside the cabin.The rear seats have an easy-release 40/20/20 split fold-down feature that lets you customize your cargo area to reach up to 59.6 ft3 of storage space. The Mazda CX-5 offers available i-ACTIV AWD® to give you more traction control and a more responsive drive. 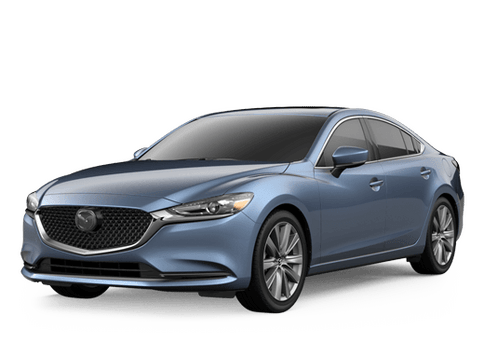 It also comes equipped with SKYACTIV®-VEHICLE DYNAMICS with G-Vectoring Control for a less fatiguing drive and smoother ride. The 2017 Mazda CX-5 has many features that keep passengers comfortable and safe. Check out these technology and safety features available in your Mazda CX-5!